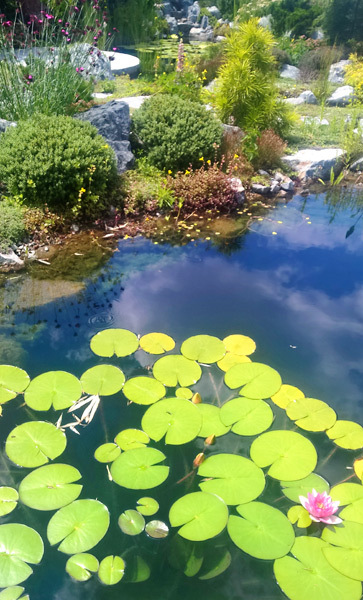 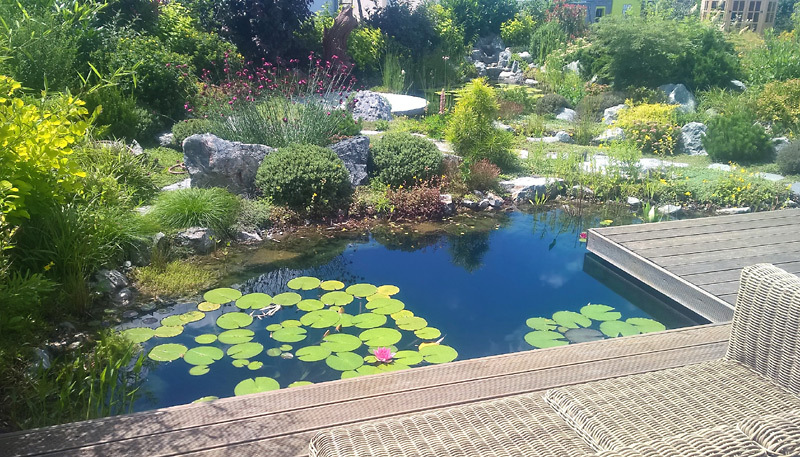 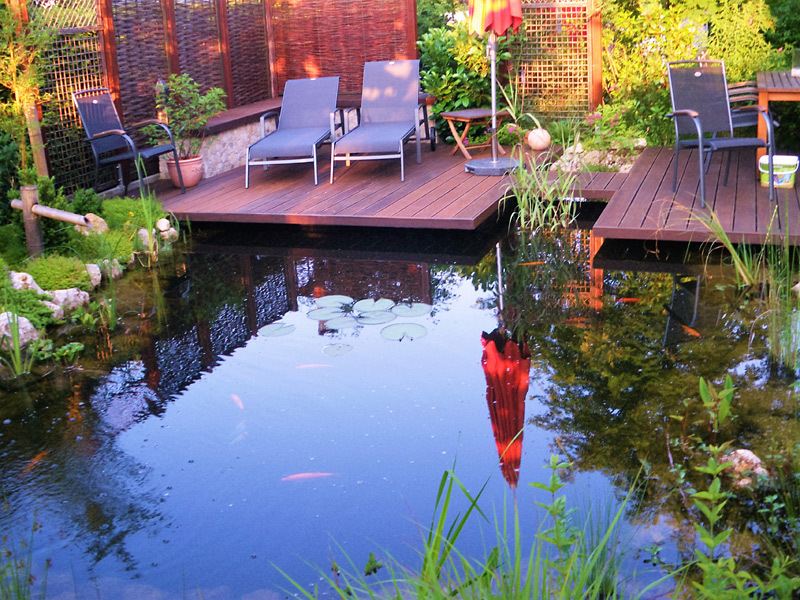 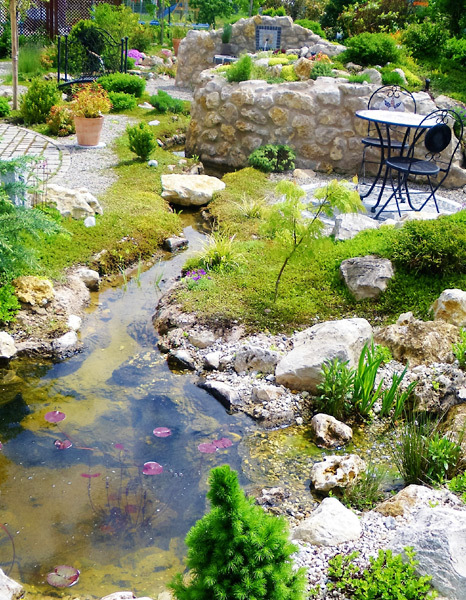 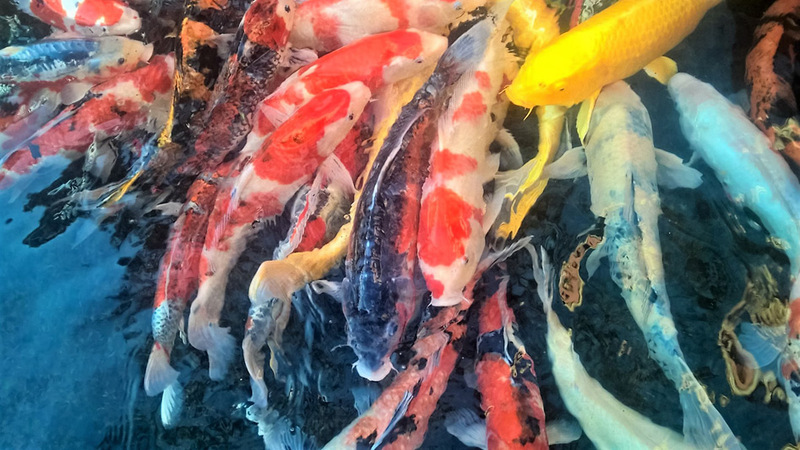 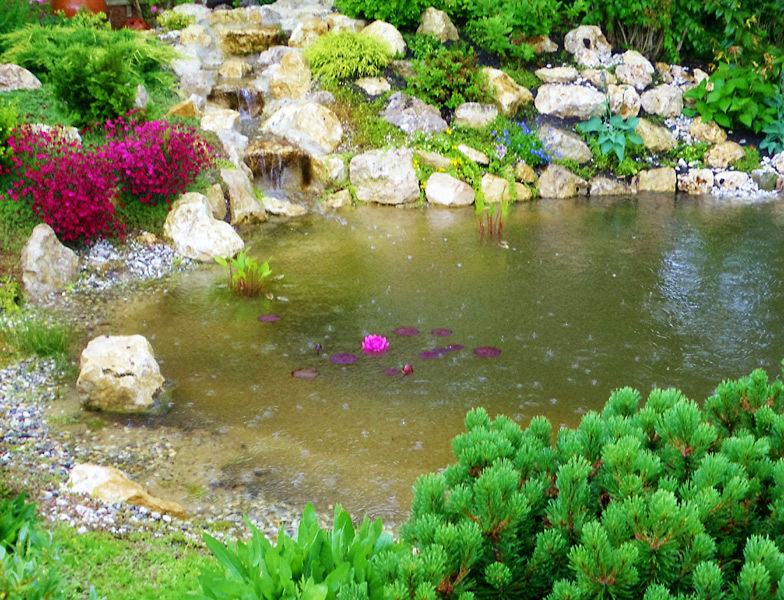 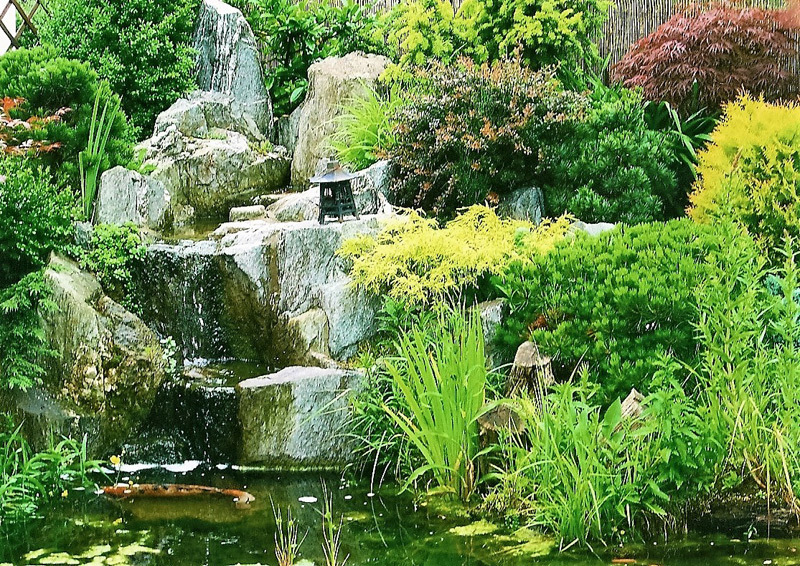 Water brings life to the garden: there are many variations: as pool, waterfall, water basin, natural pond, koi fish or as a stream course. 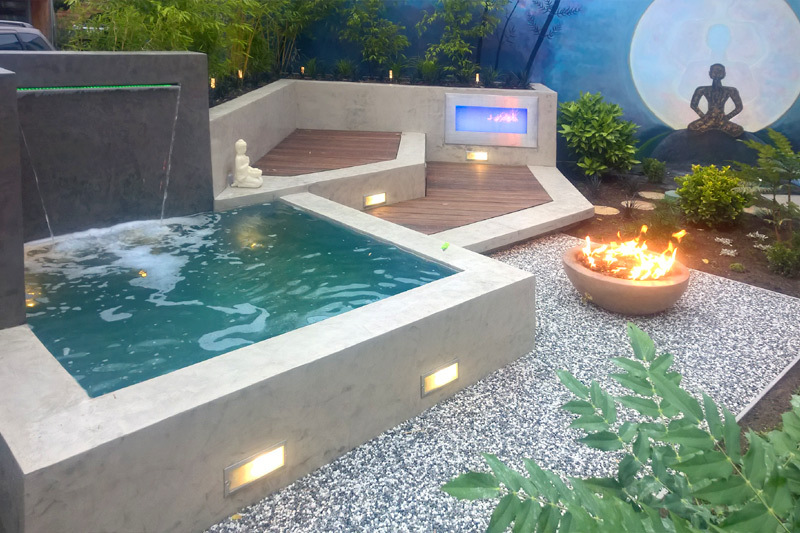 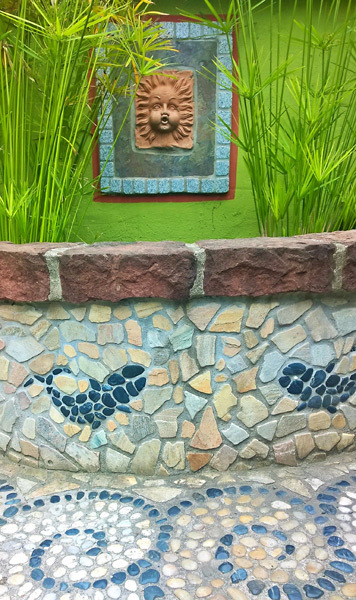 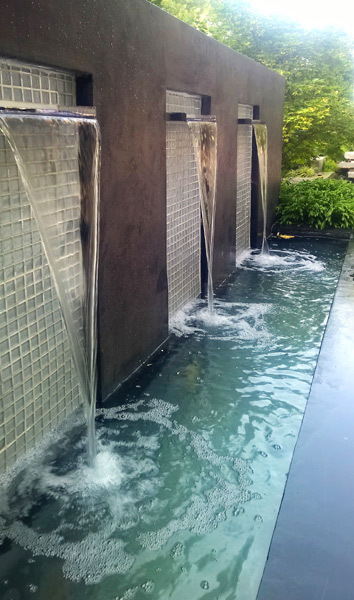 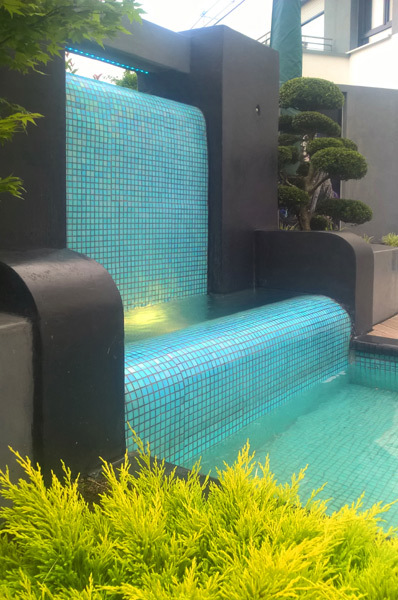 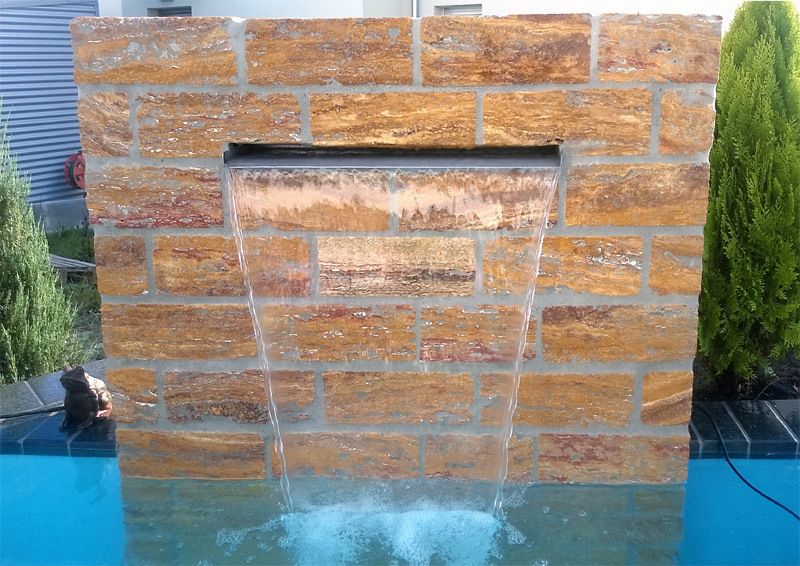 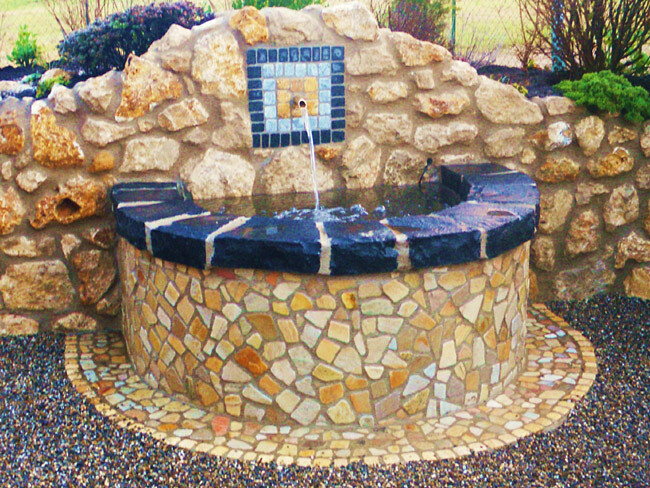 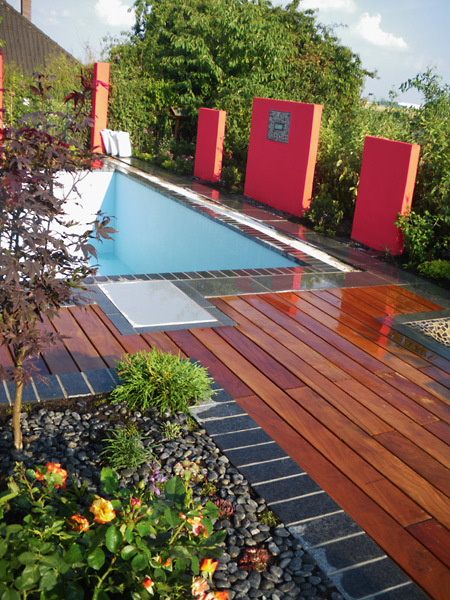 Water basins with a waterfall are especially suitable for modern gardens. 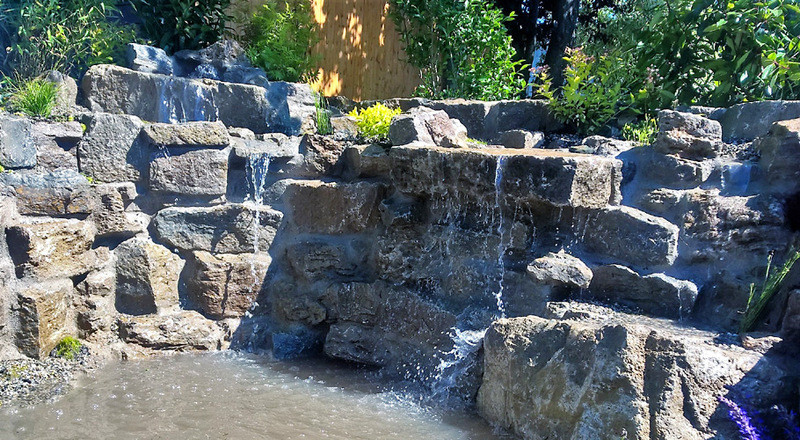 In the natural garden you can create a whole back with several waterfalls. 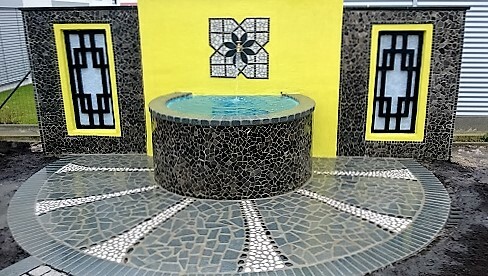 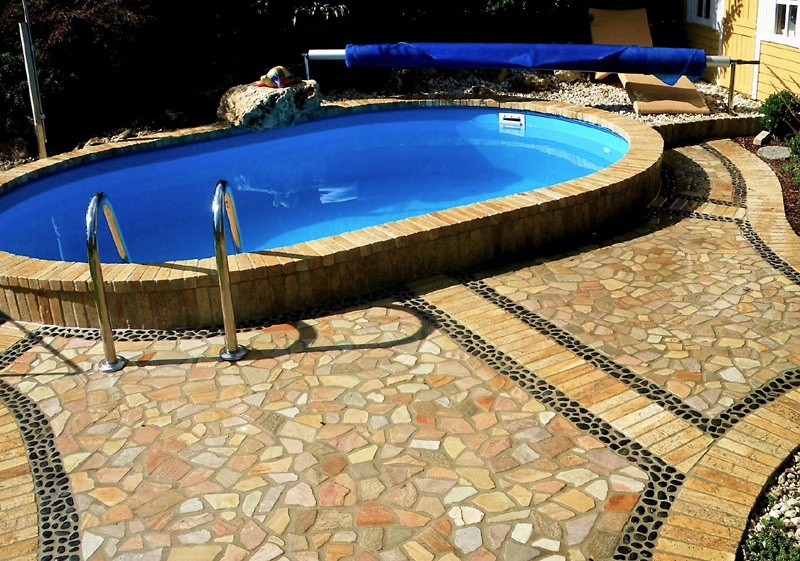 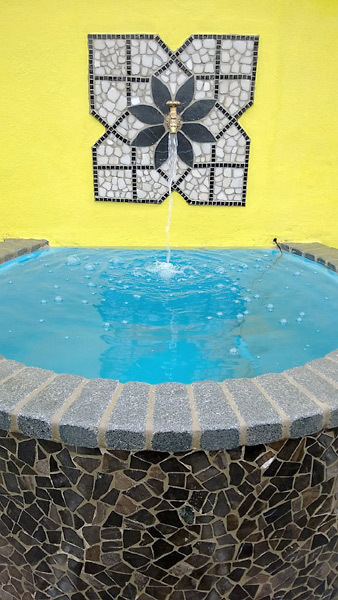 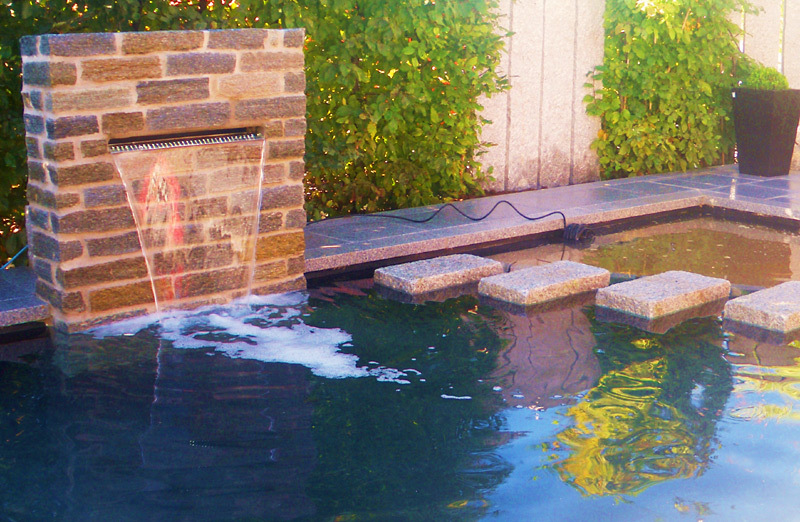 Pools and basins are sealed by fiberglass or micro cement.